Zabrina graduated as a Bachelor of Science in Mass Communications at the prestigious West Visayas State University. She was a customer service representative with over 5 years experience, email and chat line specialist; worked as a Social Media VA, creating campaigns through verticals such as blogs, LinkedIn, YouTube, Facebook, Twitter, Pinterest and Instagram. Zabrina is also a graphic designer. 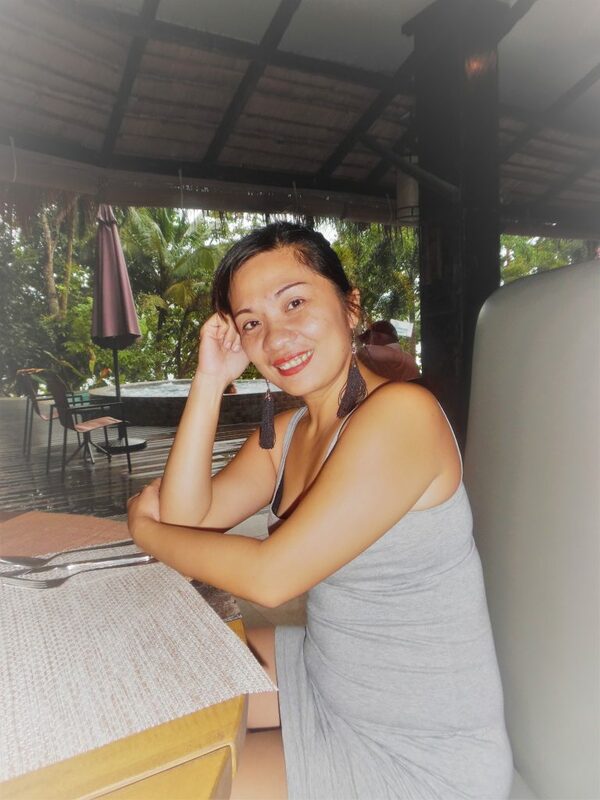 She created the website for travelblog ZABRINA: the WANDERLUST at first, then decided to make this website for travelblogs and being a digital nomad as it was her passion. I have the desire to travel. The impulse to go places and discover. The longing for a place that has yet to be explored by my senses. I’m definitely a nature lover. I just wanted to share my adventures, talent and inspire people to create fun things. My travels so far have not taken me outside of the Philippines. But with over 7000 islands in the Philippines it may take me many years to visit all the wonderful beaches. I enjoy taking pictures. I hope you enjoy them. This is the same blog I used to have over at WordPress.com but have now set it up as zabrinasabrine.com. I am a freelance virtual assistant that specializes social media/ graphic design and videos. I can help you grow your business. I am happy and contented with my two boys, Macky and Botsy, and my husband Stephen. We love sitting and playing on the beach and mountain especially around sunset. We love to eat together of course. It’s our favorite thing to do as a family. If you need to contact me either email me using the form below or contact me through my Facebook Page.